Franklin Delano Roosevelt’s 1933-1942 New Deal program, the Civilian Conservation Corps (CCC), provided rural areas and communities with economic stimulus as well as natural resource protection and preservation. While receiving an education and much-needed work, young men who enrolled with the CCC interacted with communities by furnishing isolated regions with recreational areas, accessibility, and protection from forest fire and disease. Pres. Roosevelt aimed to employ more than 300,000 men in the CCC. Just two months after the program’s implementation, 1,200 worked in Payette National Forest camps such as Gallagher and Silver Creek. Roosevelt hoped their rural camps and labor would “add to present and future values of the nation’s natural resources.” Eventually, over 18,000 total men worked to do this in Idaho’s forests. CCC camp impacted on nearby communities was significant. CCC workers constructed roads to make rural areas accessible and undertook beautification projects to bring order to a still-rustic region. Communities around the nation valued the program for its benefits; 85.1 percent of all letters written by community members and sent to the CCC director’s office contained positive opinions regarding the program. 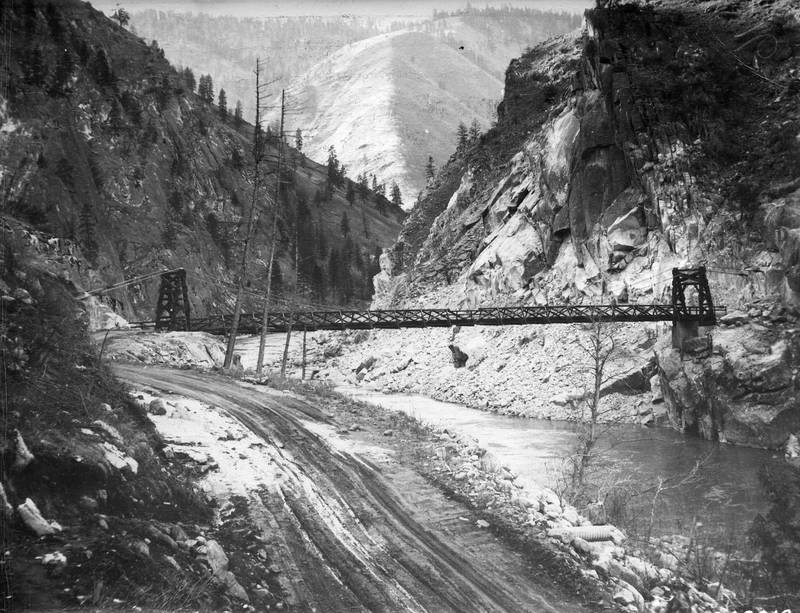 By 1941, Payette National Forest workers, then numbering over 4,500, completed 13 bridges, 134 buildings (mostly for the Forest Service), and 131 miles of road. CCC workers created recreational areas for nearby communities, many of which still exist. 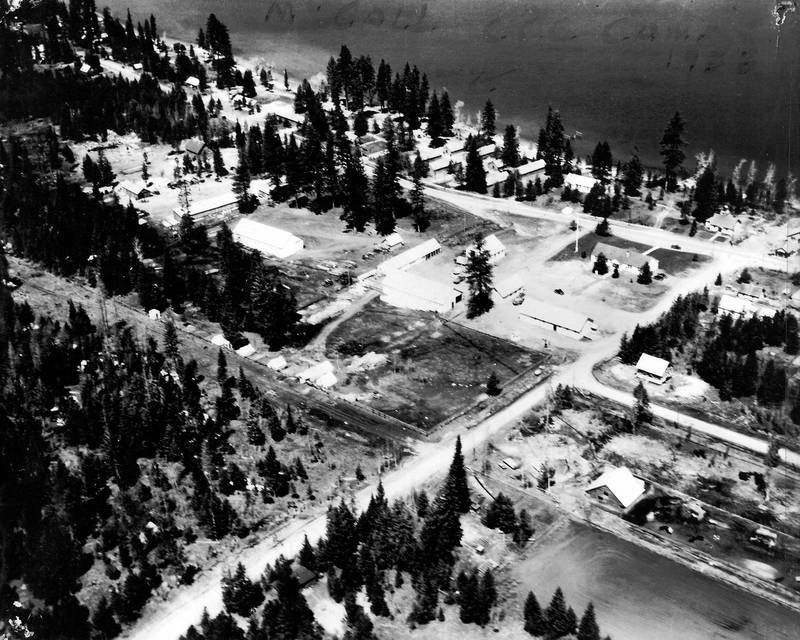 In 1939, for example, 170 workers from Gallagher camp worked at the 640-acre Warm Lake on the south side of the Payette National Forest. Enrollees developed a campground for Boy Scout use, built recreational buildings and constructed roads for public access to the area. 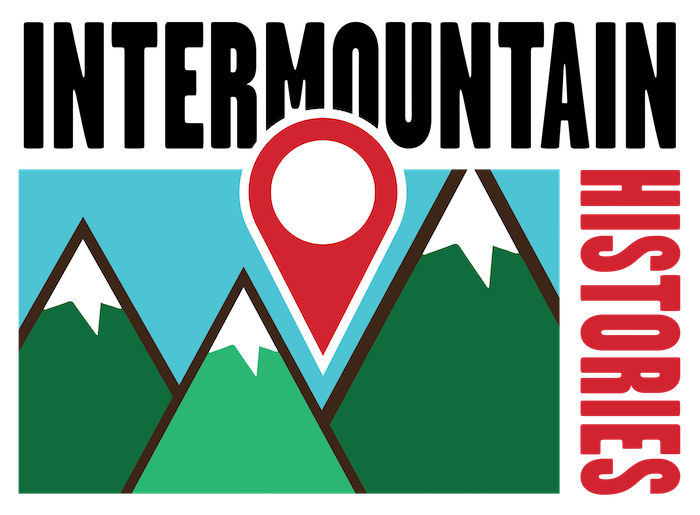 CCC recreational projects helped launch a developing outdoor tourism industry in the Payette National Forest region, increasing the overall incomes of Idahoans. 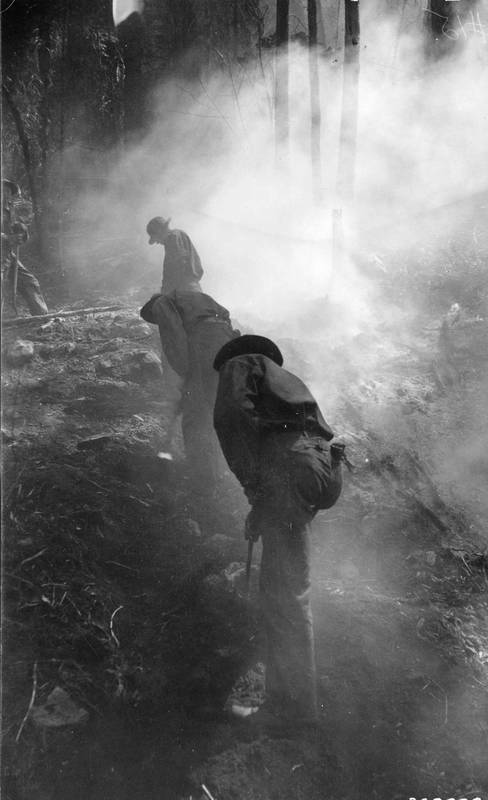 While expanding recreational infrastructure, CCC workers preserved forests, fought fires, and planted trees in rural areas nationwide. Workers traversed the woods, sprayed pine beetle repellent and treated nearly two million acres of white pine for blister rust fungus in Idaho. In the Payette National Forest, fires were numerous. The summer of 1940 brought 90, and 600 CCC workers and nearby civilians toiled relentlessly to extinguish them. In the last week of August, workers helped quell 43 fires. The Flat Creek fire burned nearly 2,000 acres before firefighters controlled it, using trails built by CCC workers to import equipment. Workers also built fire watch towers and seeded barren areas. 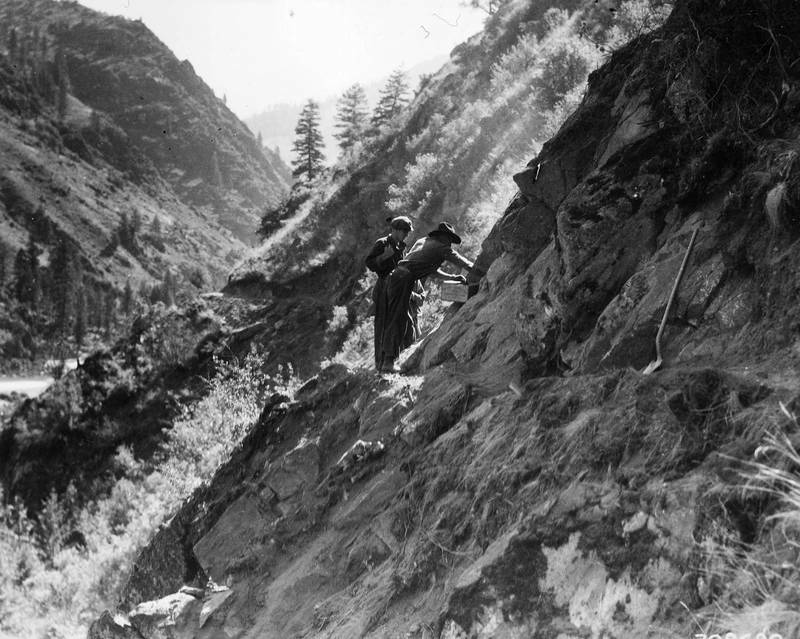 Between 1933 and 1941, Payette National Forest workers planted trees covering a sum total of 147 acres of land. In between work projects, CCC enrollees received a general education, room and board and 30 dollars per month during their short stays. Much of each payment went to the workers’ struggling families. Workers frequently spent their remaining balance at local communities and often participated in recreational activities. In 1938, the Cascade townsfolk edged out Camp Gallagher 8-7 in a hyped inter-league baseball game. As seen in the newly formed sports leagues, composed of both townsfolk and CCC men, a cooperative attitude between workers and communities arose from the economic boost the CCC introduced. 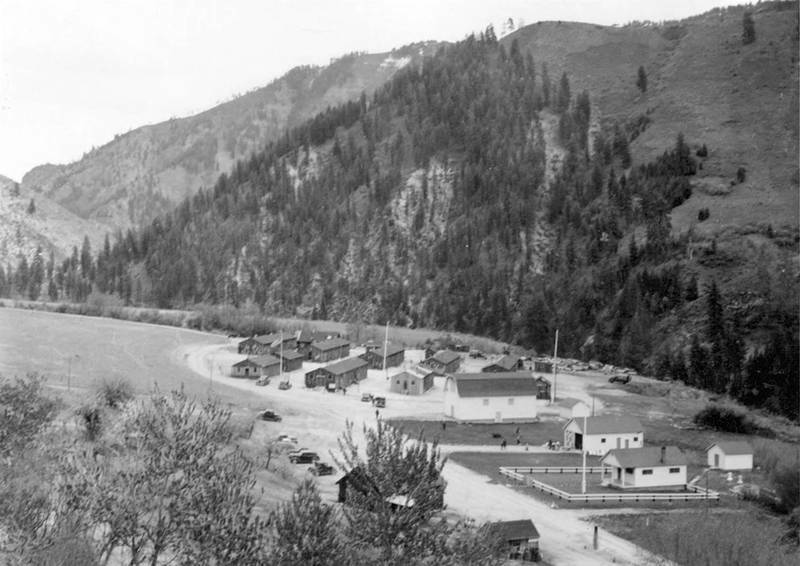 The CCC in the Payette National Forest, the state of Idaho and rustic regions around the country provided not just an economic incentive for communities, but fostered a “civic generation.” Because of the program, forests are accessible and populated with trees the CCC planted and beautification projects its workers built. What newspapers called “the best New Deal program” went largely undisputed in the state of Idaho. Colton T. Clark, University of Idaho, “"Roosevelt's Tree Friends" in Idaho,” Intermountain Histories, accessed April 19, 2019, https://www.intermountainhistories.org/items/show/113. Labine, Joseph W. “CCC at Crossroads on 6th Birthday; Alternatives: Militarization or Death.” Payette Lakes Star (McCall, ID), April 6, 1939. “More than 4,500 Enrollees Employed on Payette National Forest Since Creation of CCC in 1933.” Cascade News (Cascade, ID), April 11, 1941. “Seven Payette Forest Conservation Camps in Operation.” Cascade News (Cascade, ID), June 16, 1933. “43 Fires Controlled by Payette Forest in Past Seven Days.” Cascade News (Cascade, ID), Aug. 30, 1940. “Forest Plans Improvement at Warm Lake.” Cascade News (Cascade, ID), May 27, 1939. “Tourists Increase Idahoans’ Incomes.” Payette Lakes Star (McCall, ID), July 6, 1939. “First CCC Workers to Entrain Here Sep. 18.” Cascade News (Cascade, ID), Sept. 15, 1933. “Cascade Wins from CCC’s in Ninth Inning.” Cascade News (Cascade, ID), June 3, 1938. “Fire Hazard Grows as Season Advances; 38 Local Fires.” Cascade News (Cascade, ID), Aug. 3, 1934. "The Success and Contradictions of New Deal Democratic Populism:. The Case of the Civilian Conservation Corps." The Good Society 21, no. 2 (2012): 250-60. Sherraden, Michael. "The Local Impact of the Civilian Conservation Corps, 1933-1942." Journal of Sociology and Social Welfare 10, no. 3 (1983): 514-29. Fechner, Robert. "The Civilian Conservation Corps Program." The Annals of the American Academy of Political and Social Science 194, no. 1 (1937): 129-40. Malone, Michael P. "The New Deal in Idaho." Pacific Historical Review 38, no. 3 (1969): 293-310.